Yep, I've finally done it... chosen a name for my Close To My Heart team. As the title for this post says, the name is Bling it On! LOL.. it's kind of sassy, but then again, so am I! Anyway, I'm excited to share it with you and excited for the possibilites of expanding my team. 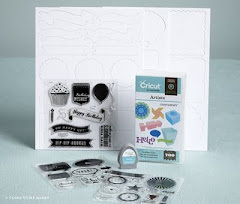 To celebrate choosing a name for my team, I thought it would be great to highlight some CTMH products you can use to add bling to your projects. First, let me show you our newest bling items! The Cherry-O Pearl Stickers are six adhesive-backed designs made out of pearls! 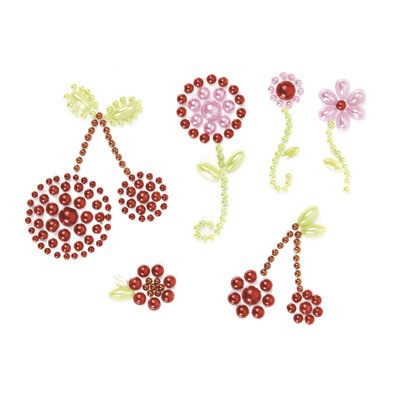 These are SOOO adorable and they coordinate beautifully with the My Reflections® Cherry-O kit. 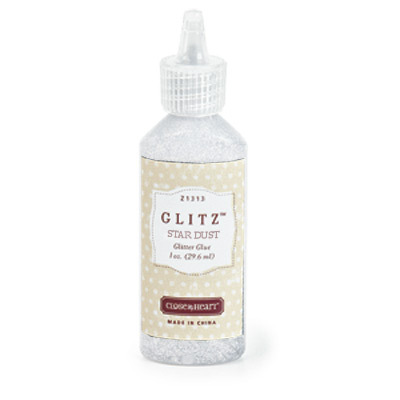 Next up is Glitz Stardust Glitter Glue - Add this nifty liquid glitter to projects to make them sparkle with ease—without the loose-glitter cleanup! Finally, Clear Sparkles are one of CTMH's staples for adding bling! 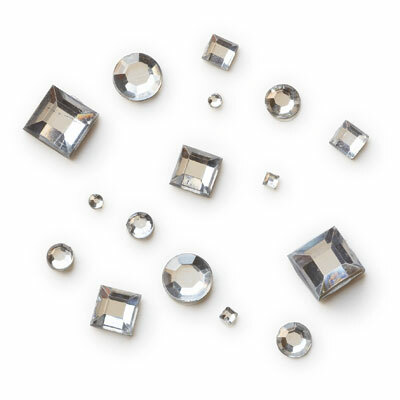 These rhinestones are self-adhesive and come in two different shapes and four different sizes. You simply peel them off the backing sheet and stick them down... it's THAT EASY! This is my swap card for May. Our swap group met this morning at Harry's on Tuam in Houston. What a yummy breakfast! Our theme was Wedding and Anniversary cards. I wanted to do something non-traditional and I really like the You Rock stamp set. 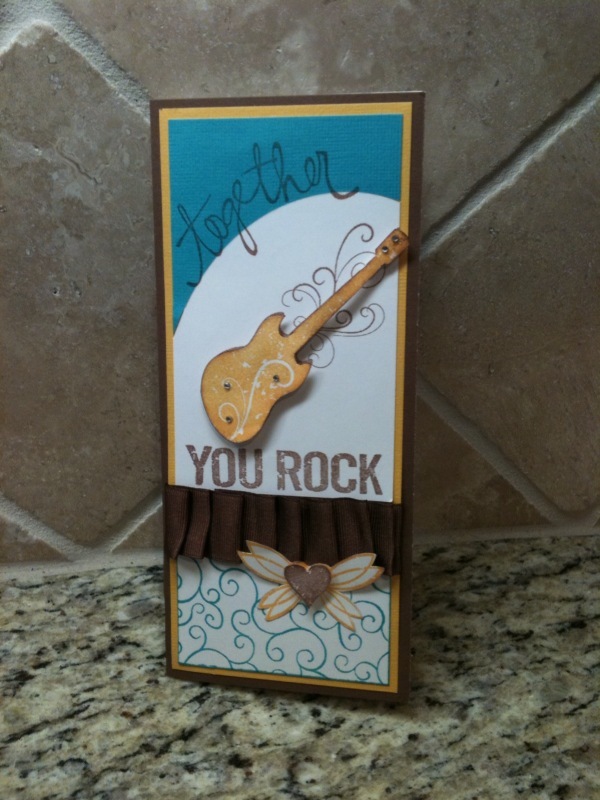 The card measures 3.5"x8" and the inside says simply "Happy Anniversary". The colors are Ocean, Chocolate, and Honey. All the cards this morning were AWESOME! Close To My Heart has an amazing special to celebrate National Scrapbooking Month, a kit called "Miracle". 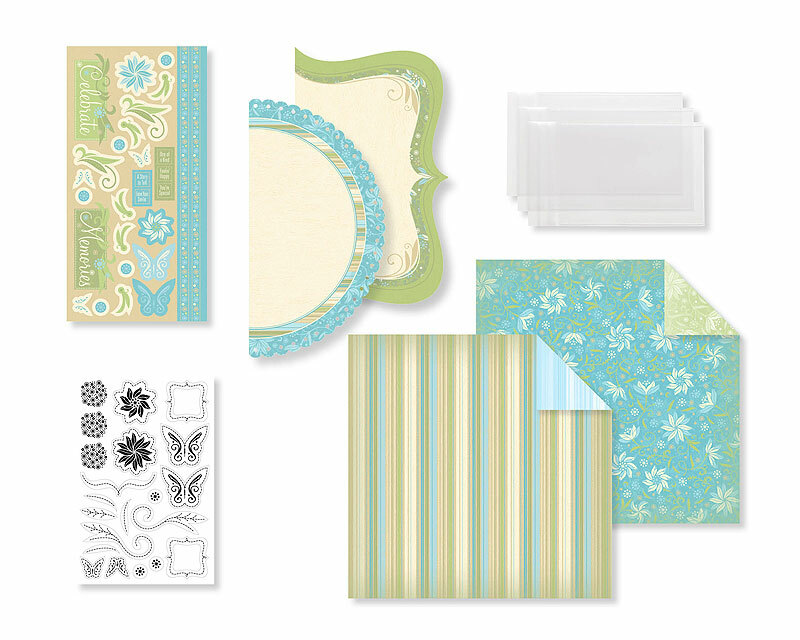 This charming scrapbooking kit featuring spring-inspired colors and floral patterns is miraculously easy to assemble with no stamping required! 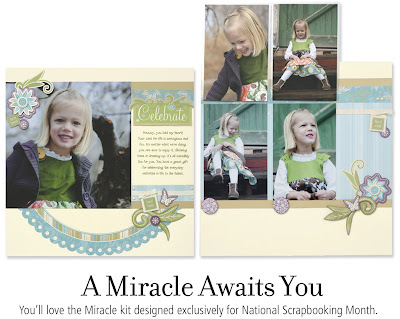 The brochure will guide you through easily creating two beautiful 2-page layouts. That's FOUR pages! • Purchase the kit outright for $19.95* (CC1009). • Place a minimum order of $40 and purchase the kit for only $10* (CC1009A). • Place a minimum order of $60 and purchase the kit for only $5* (CC1009B). • Sign up as a new Consultant between May 1–31 and receive a kit FREE! • Host a Home Gathering between now and May 31 with minimum sales of $300 and receive a kit FREE!